This online payment system is provided by Arsha Dharma Parishad (hereinafter referred to as the Parishad). The Parishad may update these terms from time to time and any changes will be effective immediately on being set out here. Please ensure that you are aware of the current terms. The country of domicile for the Parishad is India. Please read these terms carefully before using the online payment facility. Using the online payment facility on this website indicates that you accept these terms. If you do not accept these terms, please do not use this facility. 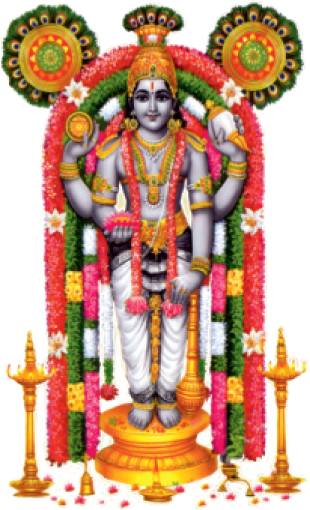 The description of various poojas is given in the page captioned Online Vazhipadu. Normally payment is required in advance (i.e. before conducting the pooja). 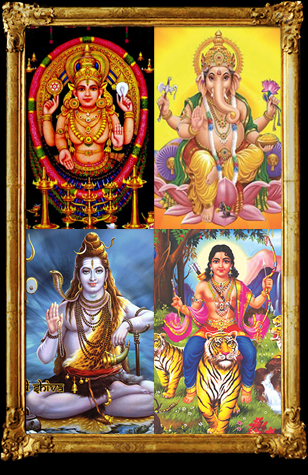 The rates for the various poojas are in Indian Rupees. The Parishad reserves the right to change the pooja rates at any time. Your payment will normally reach the Parishad account to which you are making a payment within two working days. We cannot accept liability for a payment not reaching the correct account of the Parishad due to your quoting an incorrect account number or incorrect personal details. Neither can we accept liability if payment is refused or declined by the credit/debit card supplier for any reason? If the card supplier declines payment, the Parishad is under no obligation to bring this fact to your attention. You should check with your bank/credit/debit card supplier that payment has been deducted from your account. In no event will the Parishad be liable for any damages whatsoever arising out of the use, inability to use, or the results of use of this site, any websites linked to this site, or the materials or information contained at any or all such sites, whether based on warranty, contract, tort or any other legal theory and whether or not advised of the possibility of such damages. If the Devotee does not cancel any pooja without a clear notice of 48 hours, there shall be no entitlement to a refund of the pooja rates. Refunds, if applicable, at the discretion of the Management, will only be made to the debit/credit card used for the original transaction. For the avoidance of doubt, nothing in this Policy shall require the Parishad to refund the pooja rates (or part thereof) unless such pooja rates (or part thereof) have previously been paid. All payment details which are entered through this payment gateway are encrypted when the Devotee, or third party making payment, enters them. Communications to and from the Service Provider's site are encrypted. The Parishad shall not be liable for any failure by the Devotee or third party making payment of pooja rates to properly protect data from being seen on their screen by other persons or otherwise obtained by such persons, during the online payment process or in respect of any omission to provide accurate information in the course of the online payment process. Online Payments of pooja rates can be made by Credit / Debit card or Net-banking. These payments are not collected by the Parishad directly but by the Service Provider. Once payment is received by the Service Provider in cleared funds, the Service Provider will contact the Parishad to confirm the details of the successful payment made by the Devotee, or third party making payment. On receipt of this confirmation, the Parishad will conform to the Devotee that the payment has been received and accepted by the Parishad. In the event that the Devotee does not receive confirmation within 14 days of making the payment, it is the responsibility of the Devotee to check with the Parishad that the payment has been accepted. The Devotee shall remain responsible for the pooja rates until such time as the confirmation as referred to above is received from the Parishad in relation to each of these and any outstanding amounts owed to the Parishad. The entire content of the website has been gathered to the best of our knowledge and belief, and the Parishad endeavors to keep it up to date. In particular, we reserve the entire right to update and/or modify and/or remove this data anytime and without any prior notice. Please note that the Parishad holds no responsibility for incorrect or no longer correct statements, quotes or descriptions and thereby excludes liability for any losses resulting from such wrong information. Further, the Parishad has every right to bring about legal action on any individual who misuses/alter/reproduce the content/ information available on the website. The Parishad reserves the entire right to modify/amend/remove this privacy statement anytime and without any reason. Nothing contained herein creates or is intended to create a contract/agreement between the Parishad and any user visiting the Parishad website or providing identifying information of any kind. If you wish to stop any further SMS/email alerts/contacts from our side, all you need to do is to send an email to adparishad@gmail.com with your mobile numbers and you will be excluded from the alerts list.